The mining industry has very specific requirements when it comes to what comprises a safe mine lighting system. Sufficient lighting is crucial to preventing accidents, optimizing performance, and reducing the potential of health hazards. In addition to safety, lighting systems for mining operations need to deliver energy, production and cost efficiencies to ease budget constraints. 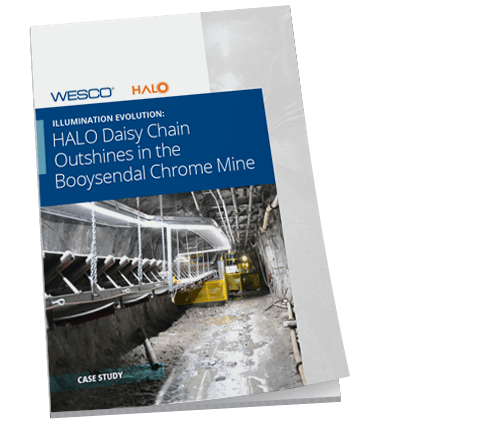 An underground chrome mine in the Mpumalanga province of South Africa needed a cost-effective lighting solution to save on energy and maintenance costs while also improving visibility conditions in the mine. 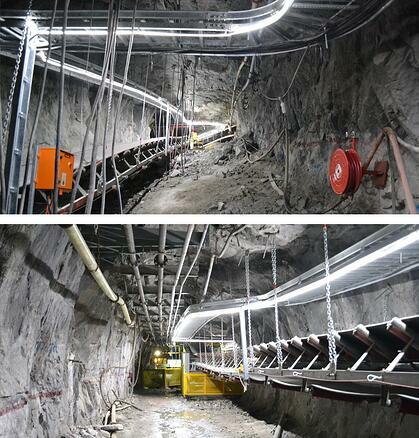 The Booysendal mine updated from conventional fluorescent lighting to an LED strip lighting solution realizing significant cost savings and safety upgrades.